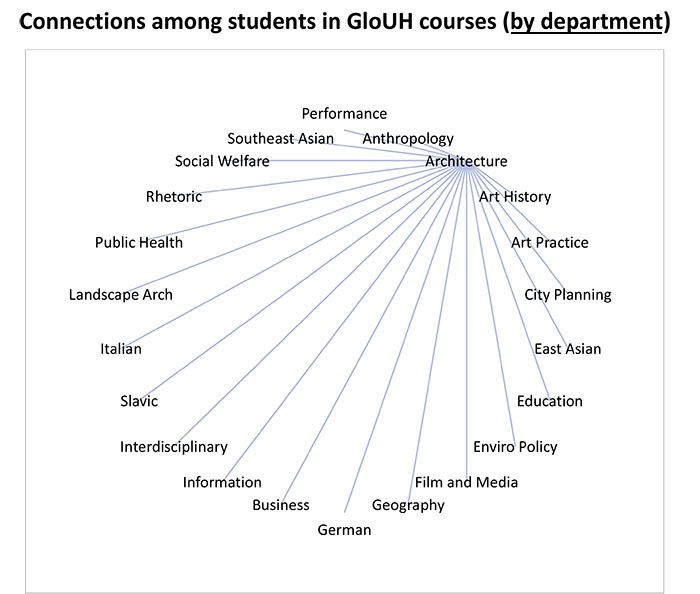 Global Urban Humanities Initiative academic courses have connected students from thirty-three (33) different departments across campus, including three (3) from the College of Environmental Design and fifteen (15) from the Arts & Humanities Division of the College of Letters & Science. Click here for a scrollable PDF illustrating the connections among students by department. The Global Urban Humanities Initiative has connected faculty from twelve (12) different departments across campus––three (3) from the College of Environmental Design and ten (10) from the Arts & Humanities Division of the College of Letters & Science. 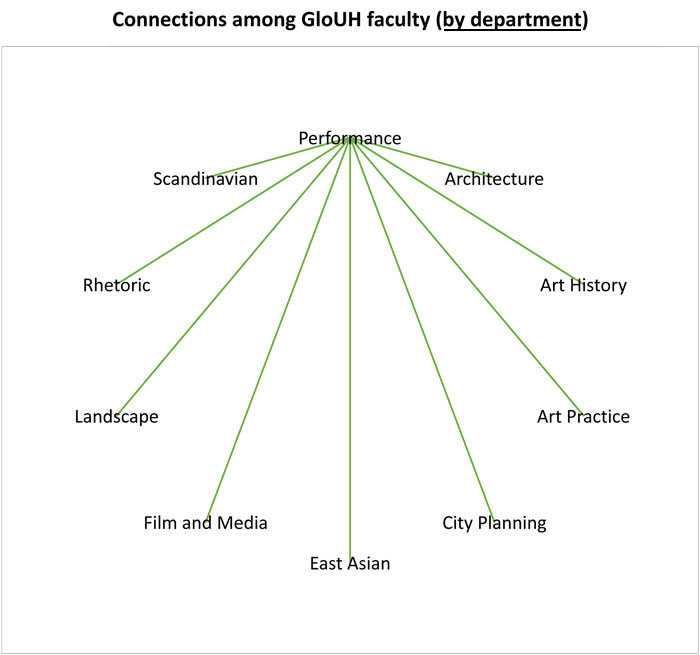 Click here for a scrollable PDF illustrating the connections among faculty by department.